The ITL is a purpose-built building designed by the architectural firm MacCormac Jamieson Prichard, who also designed our student village. The Laboratory was made possible by a generous gift from the Wolfson Foundation and substantial funding from the UFC (now HEFCE). Our rolling replacement programme ensures that we maintain a high-quality, modern computing provision with over 300 fully networked multimedia workstations, which run both the Linux and Windows operating systems. 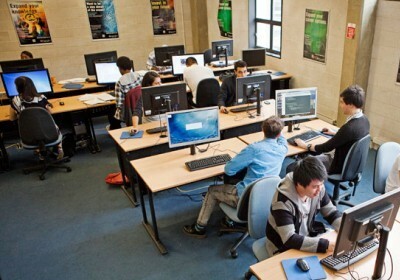 Network ports are also provided for students choosing to use their own laptops for practical work. In addition, a wireless network covers all areas of the School. 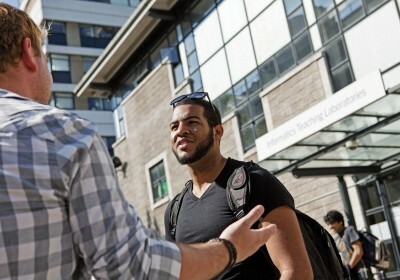 A high quality printing service is provided by laser printers on each floor and in each lab. 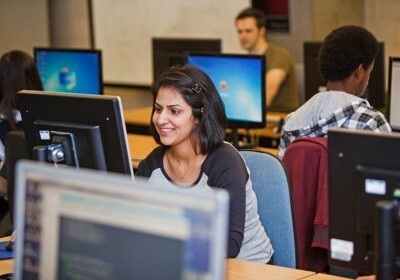 Students have access to a wide range of industry-standard software, including a variety of integrated software development environments, database management systems and web servers. 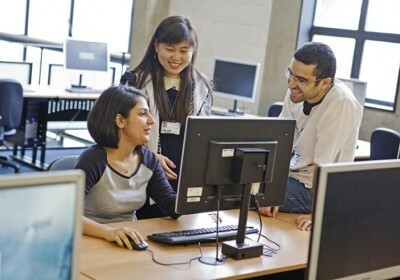 A variety of specialised equipment and software is also available for course and project work. 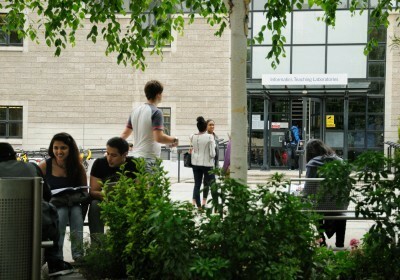 The various labs are open seven days a week, generally between 8am and midnight. During supervised laboratory sessions some areas may be reserved for use by individual courses. Access is under security card control. 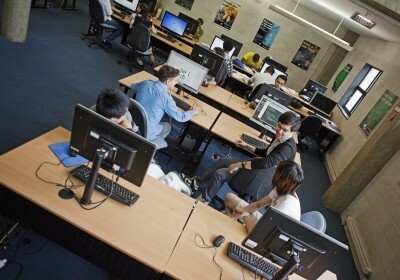 Students can also gain remote access to the School’s computing facilities 24-hours-a-day.